Understanding Azure Blob storage is often made confusing by the term BLOB itself and the large number of options Microsoft offers. So lets clear your mind with some to-the-point straight talk. 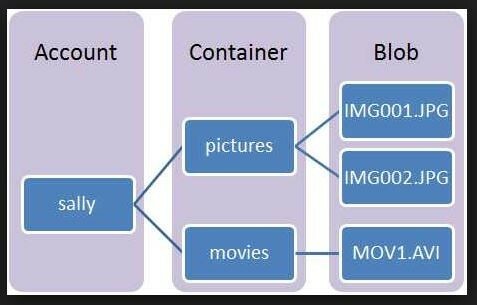 How Is Blob Storage Structured? Your Azure Account can have Many Azure Blob Storage CONTAINERS (just think Folders) and each Blob Container can contain many files. What Are the Different Types of Azure Blobs & How Much Do The Cost? These prices are in US dollars and are for the base “Locally Redundant Storage”. What Are the Different Redundancy Options for Bob Storage? LRS locally redundant storage Designed to provide at least 99.999999999 % (11 9’s) durability of objects over a given year by keeping multiple copies of your data in one datacenter. ZDS zone redundant storage Designed to provide at least 99.9999999999 % (12 9’s) durability of objects over a given year by keeping multiple copies of your data across multiple datacenters or across regions. GRS geographically redundant storage Designed to provide at least 99.99999999999999 % (16 9’s) durability of objects over a given year by keeping multiple copies of the data in one region, and asynchronously replicating to a second region. RGRS read-access geographically redundant storage Designed for to provide at least 99.99999999999999 % (16 9’s) durability of objects over a given year and 99.99 % read availability by allowing read access from the second region used for GRS. What Are the Three Different Types of Blobs? How To Recall Data From an Archived Blob? To recall data from an archived Blob, you need to convert it to a COOL, HOT or PREMIUM Blob before you can see it. Archive is for truly Archived data. Want More Blob Storage Straight Talk? We found this video to be quite helpful.